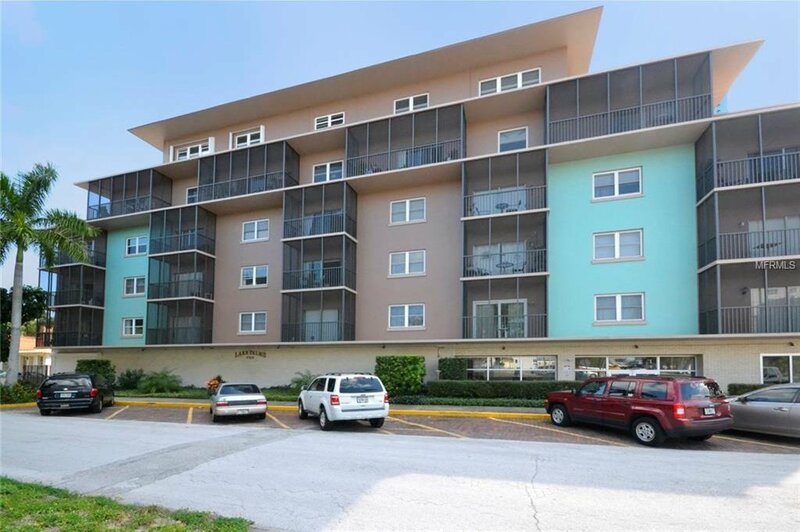 Lake Palms Apartments Co-op; 55+ community is one lucky find right in the heart of St. Petersburg. Walk to the library, parks, restaurants and museums, grocery store and shops alike. This one bedroom apartment boasts lovely parquet and laminate flooring, full kitchen with newer appliances. Dinette area combined with open living area has City and lake views. Enjoy your morning coffee with a sunrise on the screened balcony. Maintenance fees include real estate property taxes, electricity, water, sewer, trash pick-up and building insurance. Also included is one covered parking space, storage unit, bicycle storage and laundry room. Main building has key fob entry into large community room. Room Measurements are approximate and should be verified by Buyer. Listing courtesy of REAL ESTATE CONCIERGE SERVICES. Selling Office: REAL ESTATE CONCIERGE SERVICES.